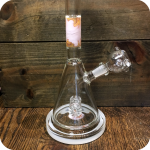 The Marbeled Pink Stem Water Pipe is a heavy hitting beaker based water pipe. 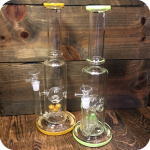 This pipe packs a mean punch and would be perfect for any smoker new or old. 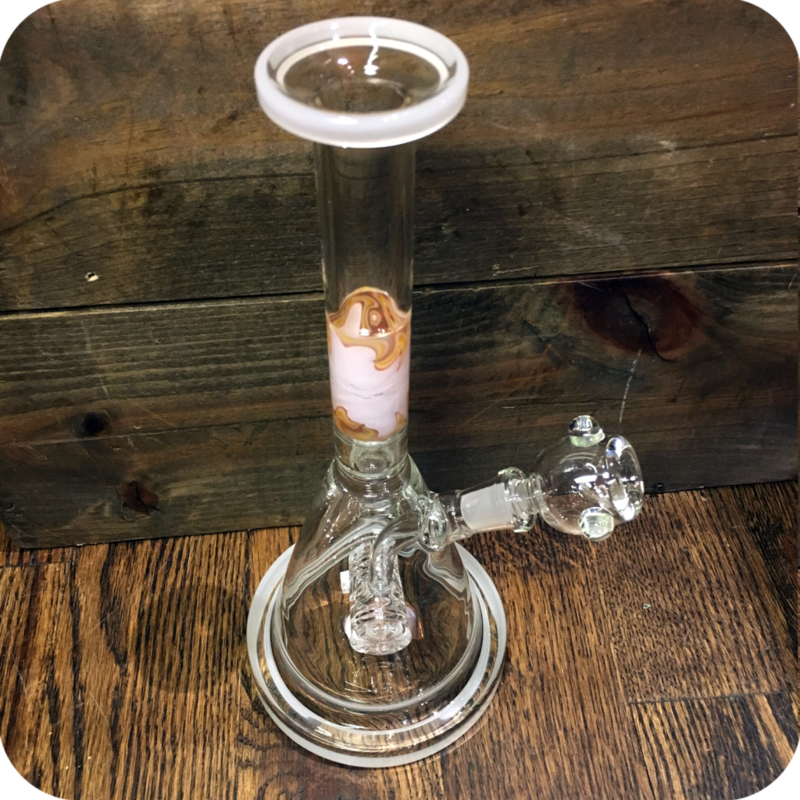 This pipe stands at about eleven inches tall, and features a wide sturdy base. This means the smoke has more room to build up, and it sits quite securely. It also features a barrel percolator for some extra filtration! 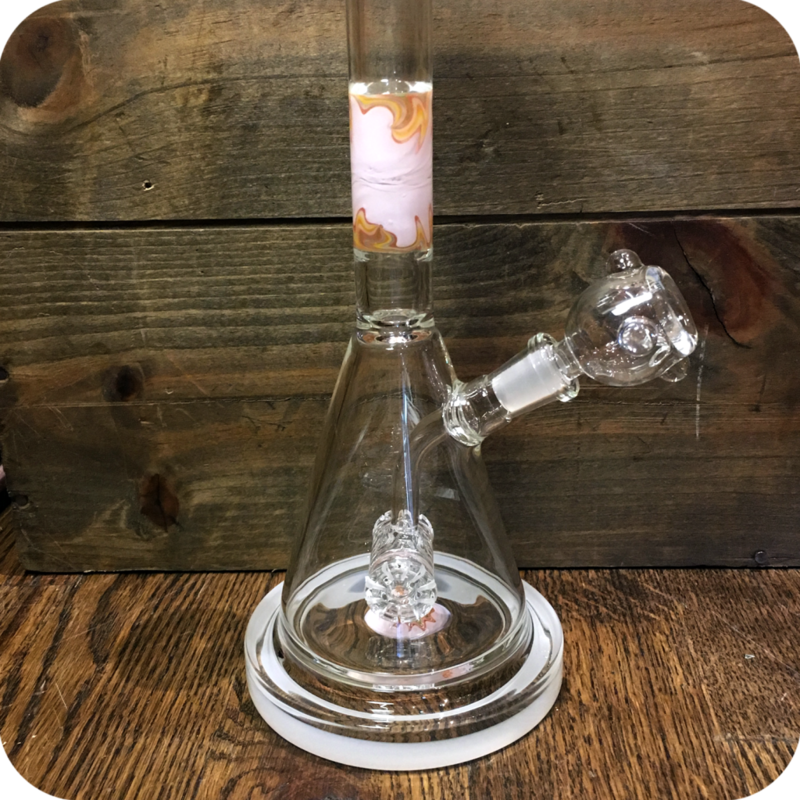 As you inhale, the smoke travels down the stem directly into the percolator which is then feed into the water. 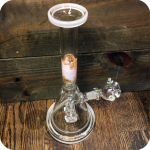 The water cools and filters the smoke one last time before it reaches the user lips! This mean big, potent, yet smooth hits every time! You will benefit from this pipe by conserving your precious herbs, and enjoying a cleaner healthier smoke. While your here, grab some Formula 420 Cleaner. It is one of the most trusted glass cleaning solutions on the market, and is trusted by smokers all over the world. It will have your pipe looking brand new every time. 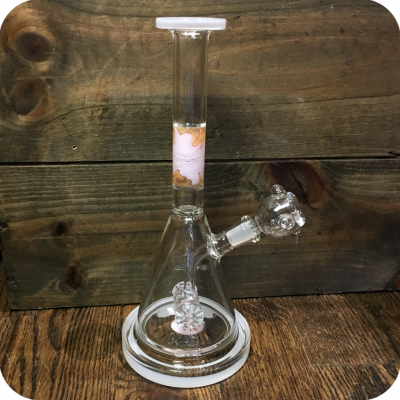 Tags: Brooklyn, brooklyn glass, brooklyn smoke shop, Marbeled Pink Stem Water Pipe, Pink Stem, Sunflower Glass Co, Sunflower Glass Company, water pipe, williamsburg smoke shop.